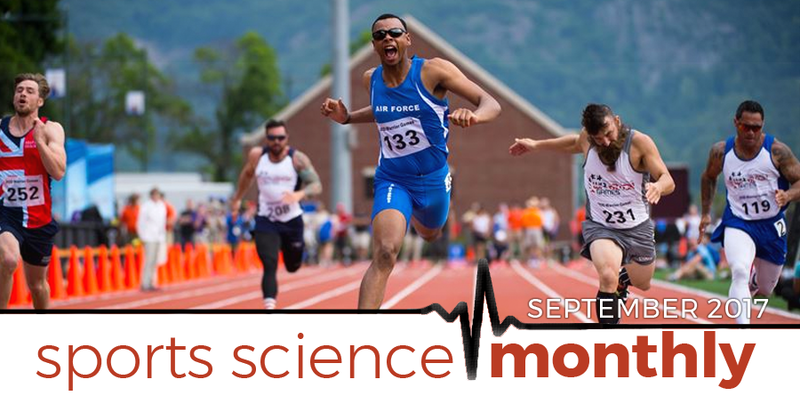 Welcome back to another edition of Sports Science Monthly. This month we take a look at the practical use of sports science in coaching, and issues that arise in that relationship; the effect of body mass on ice baths; the impact of genetic variation on concussion risk; recovery for team sports; placebo effect; and individualized training based on HRV. » Quick Summary: Sports science and sports coaching are often worlds apart. Sports scientists would be well placed to attempt to answers questions that sports coaches need answering. Martin Buchheit is fast becoming one of my favourite writers in sports science, if only for his absolute openness and honesty regarding the scientific process in sports science, as well as his realistic outlook on how that crosses over into the real world. He wrote a paper last year about statistics which has had a big impact on me – whilst I’m not quite statistically minded enough yet to fully be able to carry out some of the methods he recommended, it has spurred me on to understand that area a bit more, which has improved my statistical literacy for my doctorate. Whilst statistics are fairly boring, the analysis you carry out underpins your conclusions, and so a better analysis creates better, more robust conclusions. In addition, Buchheit often writes about problems he has had with reviewers when going through the peer review process; as a beginner in the field, it is heartening to know that experts in your field suffer the same struggles you do. His most recent piece, which will be published in the International Journal of Sports Physiology, is another article that hugely resonated with me. Entitled Houston we have a problem, it’s an examination of the issues that affect the translation, or lack thereof, of sports science research in the lab to sports science practice on the field. One of the main issues identified by Buchheit is that the research doesn’t always apply, or indeed isn’t practical, within the sports field. Complicated and/or expensive methods of testing muscle metabolites or blood markers scale poorly into squads which can be 30-40 players in size. The use of these techniques will be time prohibitive, creating an extra burden on the players whose job it is to train and perform at the highest levels. An example of this disconnect provided by Buchheit is that the scientific evidence suggests there are no recovery benefits from massage, and yet pretty much every elite athlete in the world has regular massage. Secondly, the evidence supporting beetroot juice having a performance benefit on repeated sprints is strong, and yet most elite athletes don’t use it because of the taste or the somewhat unpleasant side effect of diarrhoea. So what is the solution? Buchheit suggests that sports science researchers, instead of creating their own research questions, should attempt to solve problems facing coaches and sports scientists in clubs. This would require closer links between academic institutions and sporting ones. This already happens quite frequently in Australia, where a number of Australian Rules Football Clubs have relationships with local universities. This provides a win-win situation; the university get to study elite athletes (which are rare in the research), and the club gets cutting-edge sports science knowledge. The key aspect of this opinion piece, in my opinion, is that of context; yes, research might suggest that a certain technique is useful, but if it is impractical and/or time consuming, then it must be adapted . This can lead to many situations where the application of sports science in high level sport is outside of evidence based practice, but instead adapted to the specific situations that coaches and athletes find themselves in. Yes, training in the afternoon might be better from a circadian rhythm perspective, but training in the morning frees up the rest of the day for the athlete to spend time with their families or study. Being able to remain pragmatic in the translation of sports science knowledge to practice is crucial, and something that we all must remember.